The Week That Wasn't is a British 30 minute scripted comedy television series, which kicked off on May 17, 2018, on Sky 1 and is broadcast every Thursday at 22:00. The show is currently in its 1st season. Sky 1 is yet to announce the renewal of The Week That Wasn't for Season 2 as well as its cancelation. Sign up to track down the show's status and its release date. 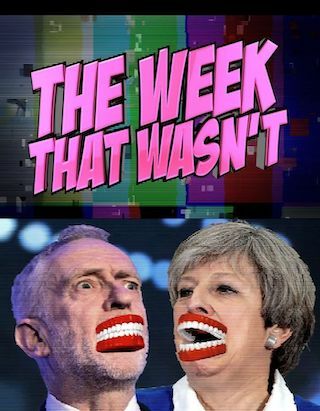 The Week That Wasn't is a comedy show where famous faces are thrown into an alternate week of events that may not have happened (but probably should have). Join the UK's leading impressionists as they literally put words into the mouths of celebrities, seriously dubbing them up the wrong way.